Sybil was born at Chinchilla in 1905 and in 1907 the family moved to Mons where Muriel and Arthur were born. Due largely to the efforts of her father, a school was opened at Mons when Sybil was 11 years old and she was the first student to enrol. Prior to that she had been educated at home. This early home education did not prove to be a problem as Sybil obtained a scholarship to St Margaret’s School at Albion, Brisbane as a boarder. At the age of 18 she matriculated as Dux of the School. She then spent two years helping on the farm until she obtained a position as a teacher at the Scottsville Primary School with a yearly salary of £120. She continued her studies by correspondence and in 1930 was awarded a Bachelor of Arts degree by Queensland University. In 1938 she was one of only two female graduates to be awarded a Diploma of Education. She continued her teaching career working at several schools including Stanthorpe and Cairns. In 1945 she was appointed to the staff of Nambour High School where she remained until 1965, then after a brief period at Southport, she worked in Brisbane at the Secondary Correspondence School. She retired in 1971. In 1933 she joined the Australian Federation of University Women and was an active member for 60 years. She was a world traveller attending conferences in places as diverse as Scotland, Switzerland, China and Japan. With this background she must have found it frustrating trying to install a love of Shakespeare into high-spirited country children at Nambour. Former students from her class remember her as a small lady who knew her subject well, but who had some problems controlling a class of boisterous teenage boys. She taught English, Geography and History. In 1952 Sybil purchased a house in Ballinger Crescent, Buderim for £545 with a deposit of £100. This house had been built by John Kerle Burnett in 1882. Initially she intended to repair it and eventually live there. In the meantime she rented it for £1 a week. By 1965 the building had deteriorated and was in poor condition. At this time Sybil realised that a decision needed to be made about the future of the building. At the same time a local resident, Zelma Dyson, realised the historical value of the building and approached Sybil and local Shire Councillor and real estate agent Merv McLuskie who was able to report that the building was basically sound. He negotiated with Sybil who was well aware of the history of the house and she agreed to donate the building to the community via the Buderim War Memorial Community Centre. In return she asked that she be permitted to build a small cottage on the block in which she could live during her retirement. These conditions were approved and the BWMCC set up the Buderim Historical Society to look after the building which was to be known as Pioneer Cottage and operated as a museum. 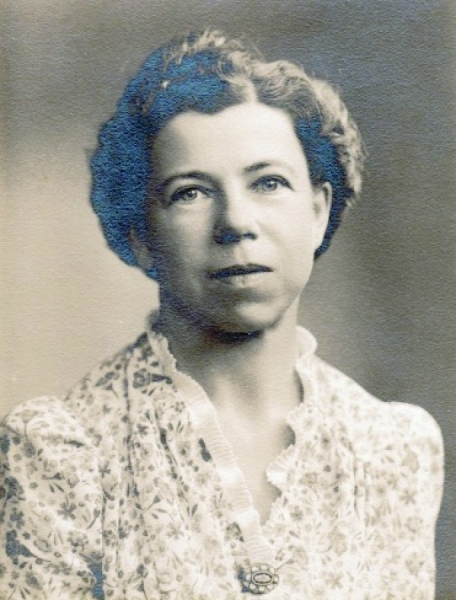 Sybil Vise was the first Patron of the BHS. She built her small home next to Pioneer Cottage and it became known as ‘Vise House’. Realising the need for both buildings to be under the one umbrella and being aware that Vise House would be indispensible to BHS as an administrative and storage facility, she made arrangements for it to be bequeathed to BWMCC. As well as these very important gifts to the community, she also made several cash donations to help with the renovation of Pioneer Cottage. Sybil Vise was clearly a woman ahead of her time. She was at the forefront of academically trained women of fierce independent spirit and she should be remembered for these accomplishments. But without doubt her lasting memorial is Pioneer Cottage which she so kindly and unselfishly gave to the Buderim community. Her generous gift has fostered a public interest in Buderim’s history which has lasted half a century. She died just one month short of her 95th birthday on the 7th July, 2000. Her ashes rest in the memorial gardens at St Marks Anglican Church, Buderim alongside her parents, Ambrose and Bessie Vise.